Third Door Media and Search Engine Land put on another stellar conference this past week out in San Jose, CA with the 2017 SMX West conference. 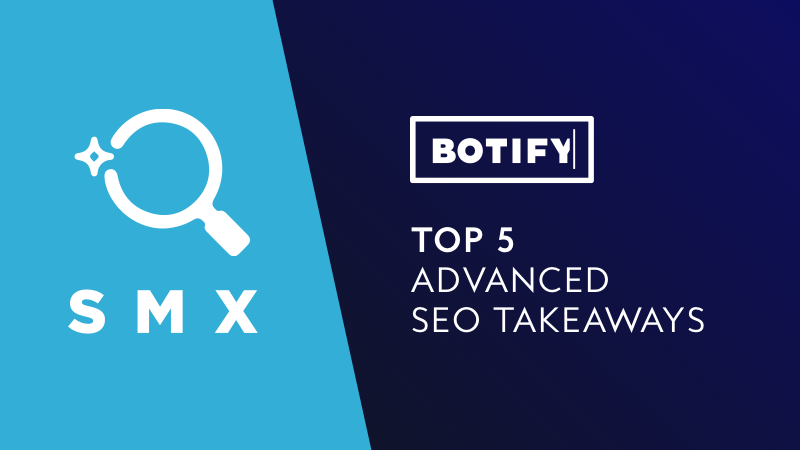 Botify was excited to attend and contribute with two presentations on how SEOs can improve their websites' crawlability and indexation from major search engines. If you weren’t able to attend, here are some key takeaways that we heard being discussed during sessions, around lunch tables, and in the halls throughout the three-day event. Google will continue to make constant algorithmic changes. But they will stop naming them and telling you how they impact you, at least officially. She has a point, and another point to consider is that every update is going to impact each site differently. The key takeaway here is that you need to continue to monitor your site’s performance from crawling to indexing to ranking closely and when you see shifts in your performance, troubleshoot. Share notes with other SEOs and, rather than focusing on algorithmic changes (that are always designed to improve user experience), make sure you focus on producing a technically-sound website with great content to attract visitors and drive business goals. Mobile is swallowing the world and AMP is leading the way. Paul Shapiro of Catalyst, Jeff Preston of Disney, and Ranna Zhou of Google held an interesting discussion regarding AMP pages. AMP on Google is no longer restricted to just publishers and is being integrated for many other verticals, retail and others included. To take this a step further, AMP isn’t only being adopted by Google. Popular apps are adopting the format and traffic to these pages is increasingly coming from sources other than Google. Ensure you have development of AMP on your roadmap to take advantage of potential organic traffic as well as to improve site performance. Artificial Intelligence Voice Assistants are probably in for a big year. How does that impact search? The keynote this year came from Jason Douglas of Google, and while his focus was naturally on the Google Assistant product, everyone was talking about the impact of Voice Assistants on search in general and how much it will change the game for everyone (as we predicted!). As has been the case over the last 10 years, keywords have gotten longer and longer, and that does not appear to be slowing down. That may be one of the biggest impacts of the proliferation of voice-assisted technologies. No longer can you think about one keyword for a page, but a larger group of keywords and even synonyms to those keywords as these devices get smarter and smarter and start to direct you to the same piece of content for different words spoken (or typed). Note, “piece of content” is very different from saying “page”. Even though devices like Google Home and Amazon Echo remove the screen from the interaction with your consumers, all of the content you have built and will build still has to be searchable and organized for easy access from these devices. Crawlers are still used to accessing this content, and this could mean the top spot in search algorithms has become even more valuable. With SEO being a marketing channel of gradual vs. quick wins, how do you execute Seasonal SEO effectively? This session topic, which hits B2C SEOs the hardest, took on the idea of how to approach it when you have thousands of products and only a subset of them need to rank for say Christmas or Valentine’s Day. The typical approach has been paid search because it requires somewhat less lead time to execute, but there are a lot of things you can do to have a strong contribution from the organic side as well. Ensure you’ve set up a publishing schedule, start going after links sooner, and have a clear idea of the site structure for what may be temporary pages (including where on the site they belong AND the linking structure associated with them). One of the easiest ways to ensure success is checking if Google is crawling those pages as soon as they are published, rather than waiting to see if they hit the index and are ranking. Watching to see when pages are crawled can save 2-3 weeks, or easily more, in your ability to react quickly to ensure seasonal pages will hit the Google SERPs in time for plenty of visits from your customers! This year's conference in San Jose was insightful, inspiring, and packed with information for SEOs to take clear next steps in their strategies and optimization. These were our Top 5 Takeaways, but with 3 full days at the conference there was much, much more to learn. What did you take away from SMX West? 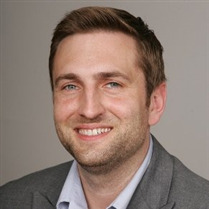 And don't forget to come see us - we're at Napa Summit this Thursday and Friday, March 30-31 talking about How to Accelerate Growth by Effectively Managing Crawl Budget!